Tree nut allergy is one of the most common food allergies in children and adults. Tree nuts can cause a severe, potentially fatal, allergic reaction (anaphylaxis). Medical experts advise that people with a tree nut allergy have quick access to an epinephrine auto-injector (such as an EpiPen®, Auvi-Q® or Twinject®) at all times. To prevent a reaction, strict avoidance of tree nuts and tree nut products is essential. Always read ingredient labels to identify tree nut ingredients. An allergy to tree nuts tends to be lifelong; recent studies have shown that approximately 9 percent of children with a tree nut allergy eventually outgrow their allergy. Younger siblings of children who are allergic to tree nuts may be at increased risk for allergy to tree nuts. Your doctor can provide guidance about testing for siblings. 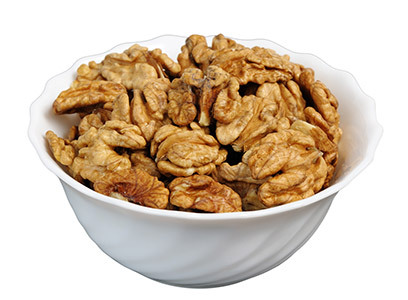 Tree nuts include, but are not limited to, walnut, almond, hazelnut, cashew, pistachio, and Brazil nuts. These are not to be confused or grouped together with peanut, which is a legume, or seeds, such as sunflower or sesame. A person with an allergy to one type of tree nut has a higher chance of being allergic to other types. Therefore, many experts advise patients with allergy to tree nuts to avoid all nuts. Patients may also be advised to also avoid peanuts because of the higher likelihood of cross-contact with tree nuts during manufacturing and processing. The federal Food Allergen Labeling and Consumer Protection Act (FALCPA) requires that all packaged food products sold in the U.S. that contain tree nuts as an ingredient must list the specific tree nut used on the label. Some Unexpected Sources of Tree Nuts* • Tree nut proteins may be found in cereals, crackers, cookies, candy, chocolates, energy bars, flavored coffee, frozen desserts, marinades, barbeque sauces and some cold cuts, such as mortadella. • Some alcoholic beverages may contain nut flavoring and should be avoided. Since these beverages are not currently regulated by FALCPA, you may need to call the manufacturer to determine the safety of ingredients such as natural flavoring. *Note: This list highlights examples of where tree nuts have been unexpectedly found (e.g., on a food label for a specific product, in a restaurant meal, in creative cookery). This list does not imply that tree nuts are always present in these foods; it is intended to serve as a reminder to always read the label and ask questions about ingredients before eating a food that you have not prepared yourself. Keep in mind: • The following are uncommon, additional tree nuts that require disclosure by U.S. law. However, the risk of an allergic reaction to these nuts is unknown: beechnut; ginkgo; shea nut; butternut; hickory; chinquapin; lychee nut; pili nut; coconut. The American College of Allergy, Asthma & Immunology (ACAAI) states: “Coconut is not a botanical nut; it is classified as a fruit, even though the Food and Drug Administration recognizes coconut as a tree nut. While allergic reactions to coconut have been documented, most people who are allergic to tree nuts can safely eat coconut. If you are allergic to tree nuts, talk to your allergist before adding coconut to your diet.”1 • Tree nut oils may contain nut protein and should be avoided. Tree nut oils are sometimes used in lotions, hair care products and soaps. • Ethnic restaurants (e.g., Chinese, African, Indian, Thai and Vietnamese), ice cream parlors and bakeries are considered high-risk for people with tree nut allergy due to the common use of nuts and the possibility of cross-contact, even if you order a tree-nut-free item. • Avoid natural extracts, such as pure almond extract and natural wintergreen extract (for filbert/hazelnut allergy). Imitation or artificially flavored extracts generally are safe. • The following are not considered nuts: nutmeg, water chestnuts and butternut squash.